Asking For It. This won’t always work but if you’re a regular customer or are spending a significant amount of money at a certain store, it can be well worth asking whether you can get a free sample of a product. I’ve done this on two occasions and was surprised to see that it actually worked. In the first instance, I was in a small shop that I don’t necessarily spend a lot of money in at any one time but I’m still what you would call a very regular customer due to my very frequent visits. On my last visit, I was buying a lip balm and noticed that there was a new item in my price range that was a bit different than the others and because I tend to stick to what I know, I wasn’t sure if I wanted to buy it. At the counter, I casually mentioned the new item and potentially wanting to test it out to the cashier and she agreed to give me a tester-style pot of it to take away. This probably wouldn’t happen in a larger shop that has more cashiers because you’re more anonymous, but in this case, I’m obviously known to the staff as someone who shops there regularly so they were more inclined to do that. In the second instance, I was buying some MAC make-up in a department store as an errand for someone else and spotted an item that I might like for myself but that was more than I’d usually pay. Because these items were going to add up to around $75, I asked if I can get a small sample to try. I got the sample and it turns out I didn’t end up liking the item in question and I was extremely glad that I didn’t go ahead and buy it, so that saved me from wasting a good deal of money! Checking product websites. This can be a good way to get a hold of perfume samples in particular. Perfume websites often have a page where you can sign up to receive a free sample. When it arrives, don’t be too surprised if it’s just a small sample on the back of a postcode but at least you get the chance to smell the perfume. I tend to look for perfume samples if I’m planning to buy perfume online and want to be sure that it’s definitely what I expected before I place the order. Using ‘freebie’ websites. Checking ‘freebie’ websites that bring together free sample offers can be a convenient way to keep track of what’s currently available. Some websites that you may find useful include the Mad About Savings forum (look at the Freebies and Samples section), Start Sampling, Walmart Free Samples/a>, Freebielist and GoFreebies. Doing Internet searches. If ‘freebie’ websites don’t bring up a specific free sample that you’re after, you might get lucky doing a Google search for it. Typing in something like “Lacoste perfume sample” may bring up a site that has that very sample. 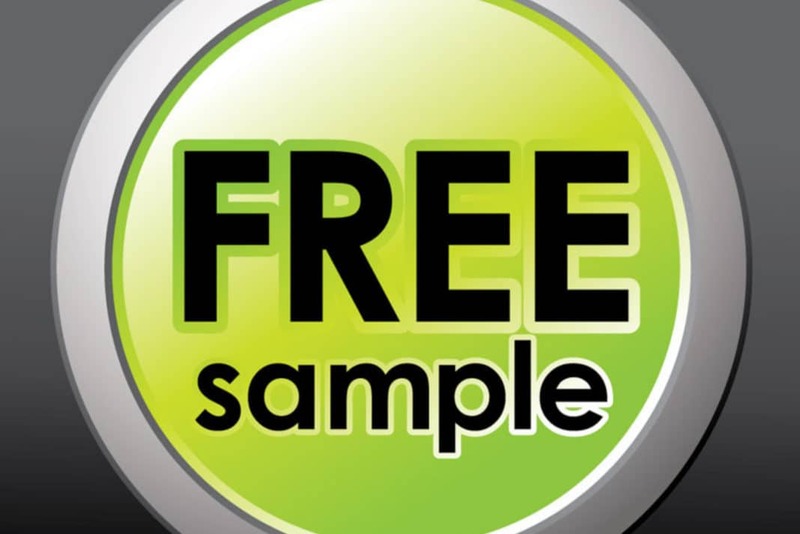 Companies are usually very generous to offer you free samples in the hope that you go on to buy a full-size version, so you may be surprised at how readily available they are. It can be a case of simply pushing your luck and trying to talk your way into a sample, but you may have to do a bit more legwork to get what you want. Do you have any good strategies for getting free samples? What types of products have you been able to get samples of?